The character who once surpassed Superman in popularity is getting his own movie this month. Billy Batson (Asher Angel), a streetwise 14-year-old foster kid, is given the power to transform into a superhero by an ancient wizard. All he has to do is shout out one word—SHAZAM!—to turn into ripped, godlike adult superhero Shazam (Zachary Levi). Still a kid at heart, Shazam revels in this adult version of himself by doing what any teen would do with superpowers: have fun with them! He sets out to test the limits of his abilities with the joyful recklessness of a child. But he’ll need to master these powers in order to fight the deadly forces of evil controlled by Dr. Thaddeus Sivana (Mark Strong). Shazam is directed by David F. Sandberg and stars Jack Dylan Grazer as Billy’s best friend and ultimate superhero enthusiast, Freddy, and Oscar nominee Djimon Hounsou (“Blood Diamond”) as the Wizard. You’re a self-professed nerd. So what’s this journey, playing Shazam, been like for you? The wish fulfillment that the movie is about is the same wish fulfillment that’s been in my own life. It’s so incredible. It’s so incredible to have loved superheroes and comics and videogames and all that stuff for so long, always dreaming like, “Oh, you know, maybe I’ll get a shot at playing a bona fide superhero one day.” And then being 37 and being like, “I don’t know. Maybe I missed my shot.” And now getting to do that. There were a couple of roles over the years that I wished I auditioned for, or that I came close to and I didn’t get. Then having gotten this role and having played this 14-year-old inside? I wouldn’t change it for anything. I feel like it was destined to be, because I’m just kind of a big man-child [laughs] in a lot of ways. So, it worked out perfectly for me, and yeah, it’s just been very dreamy. His heart. Ultimately the Wizard chooses Billy Batson to be Earth’s mightiest mortal, Shazam, because of his heart, because of the strength and purity and depth of his heart, traits that even Billy doesn’t know he has. I love characters like that, I think we need more of them. I think that we need to be inspiring people to be more selfless and more thoughtful of their fellow man. And I just really love being able to bring those types of characters to life. I try to walk as upright as I can in life and try to do as much good in life as I can, and so I love that about him. But also, that he’s 14 and just gets to be kind of silly and young at heart. And then of course all of the actual superhero stuff, like super strength, and super speed, and flying and shooting electricity out of my hands! Shazam is not only the name of the character and the title of the film, but it’s the magic word that makes that transformation happen. 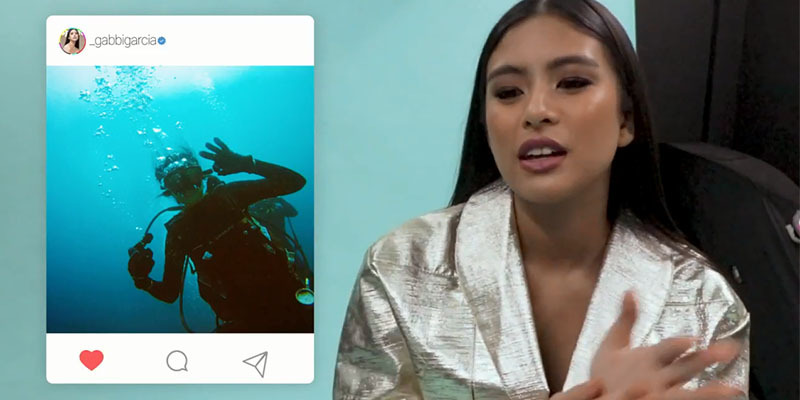 If you could say a magic word in your real life, what would you want to happen? Oh gosh. I always take these questions way too seriously. But literally, if I could say a magic word and anything could happen, I would say a magic word and we would legitimately be at peace as human beings and we would feel love and empathy for one another all the way around the world. We would be free of our fears and our insecurities and not be dealing with the anger and the hate that comes from the fears that we deal with. I think that’s why we have all the problems that we have in the world right now, there’s just a lot of fear. And that fear is used by certain people to wield power, and even that is coming out of their own insecurities and fears. So, if I could snap my fingers or say a word, I would erase all of that. That actually plays into the film’s storyline, with the Seven Deadly Sins and the villainous Dr. Sivana and what he wants. Oh, yeah. The depth of the themes in this movie were one of the things that I loved the most about it. As a spiritual person, getting to play a hero with a pure heart who is tasked with defeating sin is like, “Let’s do it! Let’s go take down Sloth and Greed and Envy and Pride and all of these things that are screwing with our heads and our hearts.” And what if we did that? What if we could do that? In a movie context, it’s great to be able to tell stories like that, but I want to be able to use this and the platform that comes with this movie to genuinely talk about that and to keep building empathy with people. If nothing else, I hope my life’s work is building bridges and building empathy and having people love more, because it’s pertinent and applicable all through time. It’s the human condition. It’s pretty simple. I want them, and everyone, to walk away from this movie feeling joy. I want them to walk away from this movie going, “That was so fun and well-executed, and just a good—nay, not good, great—movie.” But from a very specific fanboy perspective, I want all those fanboys and fangirls to have felt considered and thought of and respected in how we tackle the source material and how we honor that source material. It’s a difficult thing to do, and I’ve had some social media conversations with some folks about some of this stuff. The character has been around for a really long time and it’s gone through many different iterations. You’ve got old-school fans of a somewhat different character than what Shazam is now. 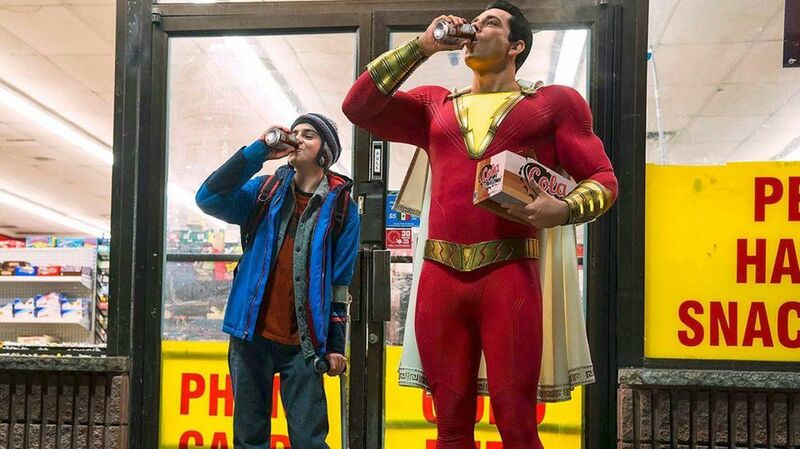 The original Billy would say “Shazam!” and literally turn into a man—he wasn’t a kid inside anymore. The wisdom of Solomon overtook all of that and he spoke like a man and he walked like a man and he was a man. Shazam wields the power of six mythological figures: the wisdom of Solomon, the strength of Hercules, the stamina of Atlas, the power of Zeus, the courage of Achilles, and the speed of Mercury. What does that spell? SHAZAM! This story first appeared in the March 2019 issue of Speed Magazine. 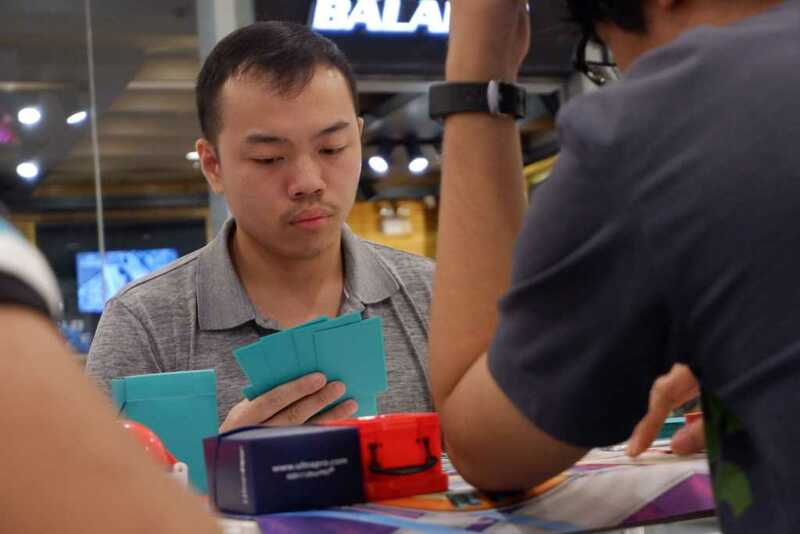 Pokémon Malaysia Regional Championship Masters Division champion Adrian Velasco tells the exciting tale of his Pokémon journey.